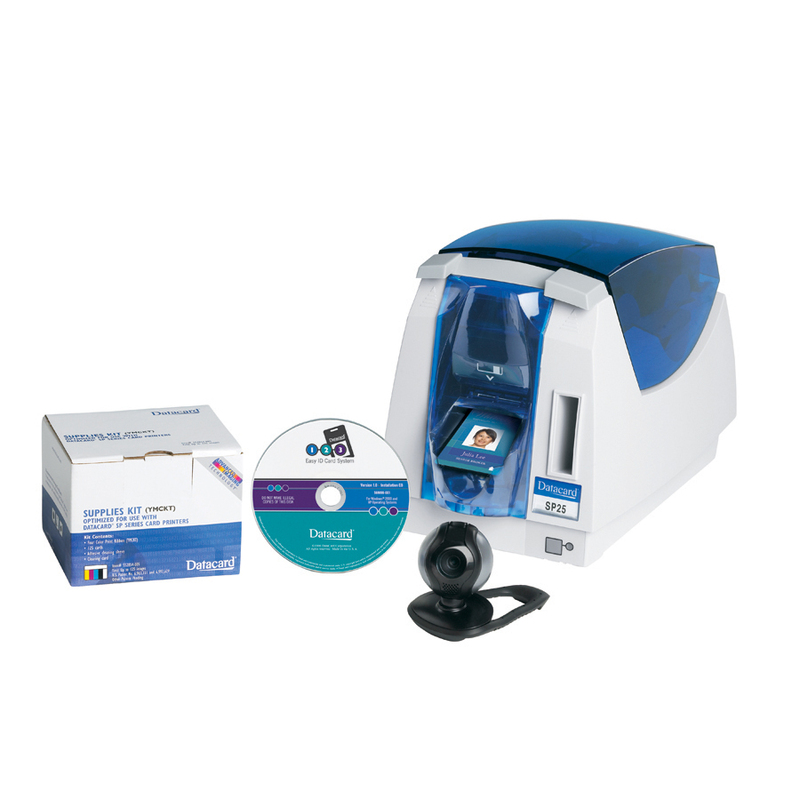 This affordable system offers everything needed to create and print photo identification cards or badges, all in one box. Harnessing the reliability and flexibility of the Datacard® SP25 Plus photo ID card printer with the easy-to use Datacard® ID Works® Intro v6.5 identification software, web camera, and one supply kit (including cards, ribbon, and cleaning supplies), this system puts the power of additional security into the hands of small businesses or organizations. Easy to set up taking as little as 20 minutes from start to finish. A single installation disk loads ID Works Intro software, printer driver and camera driver. Compact design is ideal for desktop environments. Versatile SP25 Plus card printer combines high-quality full color/rewritable card printing. System can be upgraded as needs grow. ID Works Intro software is designed to provide seamless migration to higher-level editions. Save time and effort with quick-change, error-free ribbon loading, and input hopper for batch issuance in a compact design. The 1-2-3 Easy ID card system is available with or without magnetic stripe encoding.